Rapidly becoming the 'go to' company for Pool Maintenance in the Mar Menor area. We operate in Los Alcazares and Torre Pacheco and the Golf Resorts in the Mar Menor Region. We also own properties with pools here and understand the difficulties of maintaining both, particularly when you are out of the country. Our aim is to have happy clients, and we simply commit to offering an honest and thorough service for a fair price. We believe in communication with owners, enabling them to make informed and timely decisions and giving them the best opportunity to budget their property or pool expenses. 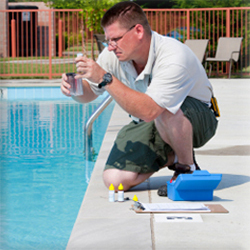 We understand your concerns and will help to make your property or pool care as trouble free as possible. 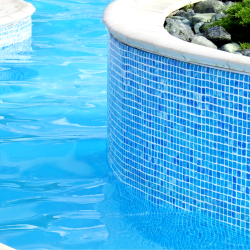 Assume total responsibility for your pool and so you can relax and rest assured that your swimming pool is in good hands and therefore the best possible shape always. 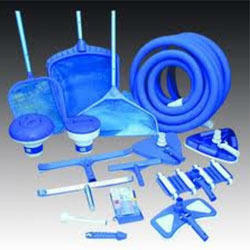 Good swimming pool maintenance consists of far more than a basic cleaning service. We only use the best quality cleaning products and replacement parts. Whenever possible, market leading Astral products are used. Our prices are competitive. 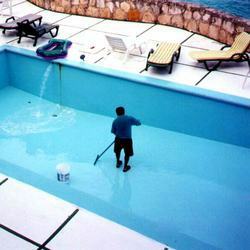 Pool cleaning is available from just €50 per month.